Corecess S2 OLT(Optical Line Terminal) enables service provider to seamlessly and cost-effectively migrate into optical broadband access infrastructure. The S2 OLT provides wide choices of G-PON, 10Gigabit Ethernet, Gigabit Ethernet. Additionally, the S2 OLT adopts advanced packet processing engine that integrates per-flow service control capability to offer more accurate service control and extensive subscriber management. 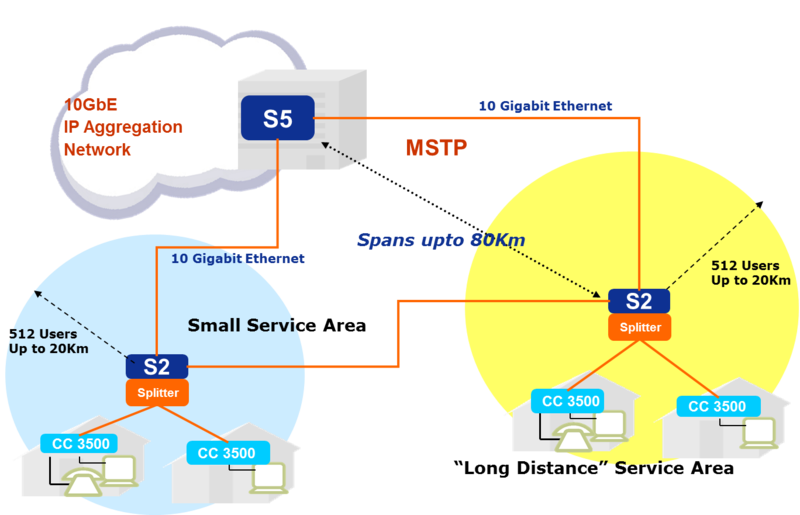 The S2 OLT provides flexible role out configuration of service network from low density to mid density under the same management and provisioning. This flexibility is further extended by cascading or aggregating multiple R1P (VDSL2 or fast Ethernet switch) products deployed at remote area. The S2 OLT also includes a versatile set of uplink interfaces that can span uplink bandwidth from 1Gbps to 10Gbps in a form of point-to-point or ring configuration to give maximum reliability..